Tara comes to know many shocking things about Ved which leaves her in shock after which she breaks up. The rest of the movie is how Ved behaves to retain his love and Tara in his life forms the rest of the story. Watch Tamasha to know about the complete film. The first half of the film looks completely fresh and the film has been shot in exclusive never seen locales of Corsica. Ranbir Kapoor and Deepika Padukone take the film to the next level with their stupendous performance and on screen chemistry. The complete first half has been impressive and the audience expect huge about the second half. The second half of Tamasha has a different story to reveal. The movie dips badly because of the huge depth in the content and because of the heavy emotional drama. The movie becomes preditable and the pace becomes slow which makes the movie end up as a disappointment. Ranbir Kapoor is undoubtedly one of the best actors in Bollywood among the younger generation. He carried the complete film on his shoulders. His stupendous performance will everyone in deep shock. Deepika Padukone has done the emotional episodes with ease and utmost clarity. Though her character was not that powerful, her performance makes Tara look roaring on screen. All the other actors have been decent for their roles they have been given. The story of the movie has nothing much to reveal as it has been quite simple. Imtiaz Ali has taken huge depth which spoiled the screenplay of the second half. The dialogues have been apt and so is the music. The cinematography and the background score are the major highlights of the flick. The production values have been grand enough. Imtiaz Ali disappoints the movie lovers as it lacks a strong second half. Tamasha is a film that will not appeal to all the classes because of the dipped second half. 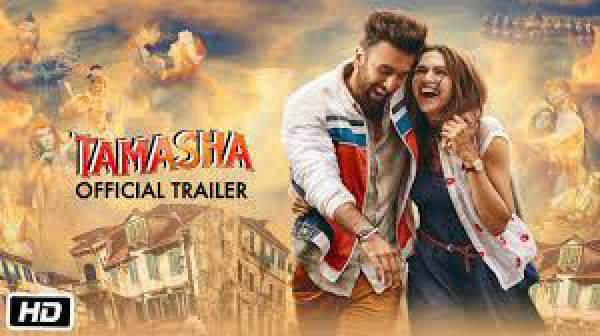 Though Ranbir and Deepika have delivered out their best, Tamasha will not make its place among the hit movies.